Does the Theory of Evolution rest on pure science, or does one have to "have faith" to fill in all its gaping holes, weak suppositions and faulty testing? Can Evolution be considered a religion, and if so, are supporters of the evolutionary theory then merely acolytes? An academic who "lost faith" in the religion of evolution is Dr. Jobe Martin, former dentist, professor and Evolutionist. 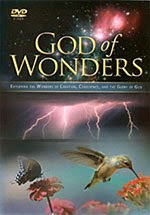 Having clearly seen God's eternal power and divine nature from what has been made (Rom. 1:20), Dr. Martin came to faith in Jesus Christ and a trust in the biblical account of the six days of Creation. He and his wife Jenna Dee have since formed Biblical Discipleship Ministries based in Rockwall, Texas to teach on campuses, classrooms and churches that we can trust the Bible's account of the Creation and Jesus as Savior. 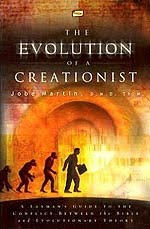 Dr. Martin, would you say that evolutionary scientists are operating in faith? One has to decide where do we start. Scientists that don't believe in the Bible believe in Evolution. They start with the Big Bang usually. As a matter of fact, if you were to ask them what was here before the Big Bang as I have done on campuses, they'll say we just don't ask that questions. So, yes, they believe by faith in their own system. Now, it takes a lot of faith to believe that an explosion can create order. I have never seen an explosion do anything but create chaos. And, you have to conclude when thinking about the universe that there is order, regularity, symmetry, beauty, predictability — all those things. No explosion produces those things. That is a big leap of faith right there. I'm reminded of Hebrews 11:1 which goes, "Now faith is being sure of what we hope for and certain of what we do not see." Faith is the cornerstone of religion. Evolutionists work just like Christians do based on a belief in something they cannot see. We hear people all the time saying we can't have a religious viewpoint taught in the public schools, instead we have to have a scientific viewpoint. But, really, the scientific viewpoint of Evolution is a type of faith. It is a type of religion. It is a total worldview, and all worldviews are based on a religious system. The thing that underlies and is the foundation of the Evolutionist's religious system is the idea that they can decide there is no God. 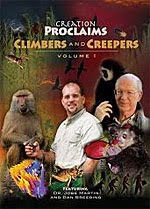 As a person who taught at the university level before I went into ministry, it just really upsets me when I see these Evolutionists absolutely demand that no alternative viewpoint be presented. The essence of education is to look at all the viewpoints, all the evidence, and try to decide which is the best one. It's not a matter of propaganda, it is a matter of education, and education should never be propaganda. Why are they so afraid if they are so confident that their view is correct? Why are they so frightened of even having somebody exposed to an alternative viewpoint? Well, to sum it up — they know. For instance, debates on the campuses where you'll have a Creationist versus an Evolutionist, the Evolutionist loses every time. They won't even debate us anymore. It's like they know they have a faith based system and they don't want anybody bringing up any questions about it. What's fascinating in recent years is how the whole evolutionary field has retreated to the point of saying there is Intelligent Design, but they'll tell you what it came from outer space, or that some aliens came and planted life here on this planet. That's how desperate they have gotten in their belief in Evolution. I kind of compare it to when the Protestant movement got moving. The Roman Catholic Church did everything in it's power to squash the presentation of the truth: they imprisoned people, beat them, and burned many at the stake. The evolutionists are no different. They are about power and control. here is a true story: a student who was inquiring about science and faith asks a philosophy teacher "what about the proof of the ressurection, can you explain that?" the techer says "no, its been proven" the student "what about the proof of the accuracy of the bible?" teacher "also been proven? after a long discussion the student asks "so why do you teach evolution?" the teacher responds "cuz if there is a God im not in charge and i have to answer to someone some day"
The question isn't "Is evolution true?" The question is "If evolution is true, why are they afraid to have an alternative to it?" What are evolutionists afraid of? Why won't their priesthood debate? Why don't they teach evolutions problems? The point of evolution is this: they don't want there to be a God. dawg, have you ever wondered why teen suicide is so high? Ever considered the correlation between teaching evolution and suicide, drug abuse, alcoholism, hedonism, sexual deviancy, etc? Evolution says that there is no God, you're not special, in fact, you're a cosmic sccident. So go have some fun. Life is meaningless, so go do whatever you want. The facts for evolution just aren't there. Like the so-called geologic column they like to talk about; it exists nowhere on earth. They've never found it. The huge amounts of fossils we have. It takes certain conditions for fossils to form: the lifeform has to be buried very quickly, like in a flood. If they aren't buried quickly, they just sit and rot. Did you know that they have fossils of animals in the process of giving birth? Did you know we have fossils of dinosaur and human footprints in the same strata? Have you ever heard anyone talk about polystrate fossils? They use the "proof" of a limited amount of human fossils to back up their theory. So the question gets asked: Why don't we have more human fossils? Because people are more intelligent (well, some are anyway) than animals and would run for higher ground when the Flood began. Eventually, they would run out of high ground and grab pieces of wood and would float on the waters where they would eventually die from starvation. Some would drown. Either way, they would float on the surface of the water and rot. silly question: what about bigfoot and the so-called claims? hartdawg, you're the one from Washington and Alaska, you should be an expert on Bigfoot :-). Personally, though, I don't see why there couldn't be a North American ape. Just because it hasn't been seen by a lot of people, doesn't mean much. One of my favorite places to visit is Gatlinburg, TN in the Smokie Mountains. They say the place is drunk with black bears, but I've never seen one. In the almost 10 times I've been there, I've only talked to one person who has seen one. Now, why couldn't the same thing apply to Sasquatch? There's a lot of unexplored territory in North America. That's not to say that they may be some demonic deception, but I'm open to the possibilty of there being a Bigfoot. True story: One night a couple of years ago in the Fall of the year, I was lying in bed when I heard the oddest howl. I've lived in S. Indiana all my life. I've never heard anything like this. It almost sounded like an ambulance siren, but lower and more drawn out. So, I did some research online and found a Bigfoot site that had some [supposed] Bigfoot calls. What I heard that night was on that recording. And considering Sasquatch and Neanderthal man: how do we know they're not one and the same? They say Bigfoot is very similar in stature to man. Makes you wonder. I, too, have questions about Bigfoot and whether they're demonic or apes. What got me wondering about a possible demonic connection is that people report instances of telepathy (or something similar) with them. I've read many accounts of "aliens" (aka, demons) having the same capabilities. At this point, I wouldn't be surprised to learn that either idea was true! I'm not too sure about the whole telepathy thing. That's not to say that a demonic being isn't riding shotgun and taking advantage of a situation. Example: Your walking through the woods when you hear a noise. You look around and see a big, hairy creature standing there. A demon takes advantage of this "mythological" creature and plants some thoughts in your head. It's like your communing with this being on a spiritual level. This is now a spiritual thing and takes your attention from the Creator to the creation. i wonder what the evolutionists would answer to that? I was supprised to see Jack Van Impe on tv the other day promoting the gap theory. He also claimed Scofield believed in the gap. I don't know much, but the Bible doesn't say there is a gap does it? Therefore I just believe what I read in the Bible, If I am naive so be it. I wouldn't want to stand in front of Jesus at his judgement seat and answer why I didn't just believe what he inspired. As many times as I've been there, I have never seen a bear. I thought I'd heard one once, but it could've been bigfoot. And no one has ever handed me an airhorn, Nathan. What hotel was that?